What's this? Why it's Jack Skellington. OK, I'm cheating a bit here. Tim Burton's The Nightmare Before Christmas didn't start out as a Disney film. In 1993, it was released under Disney's Touchstone Pictures banner. Eighteen years, an annual Haunted Mansion Holiday overlay and a ton of Jack Skellington merchandise later, however, it's gone Disney all the way. Which is fine by me. Because besides being one of Disney's latter day film classics, the music is amazing. 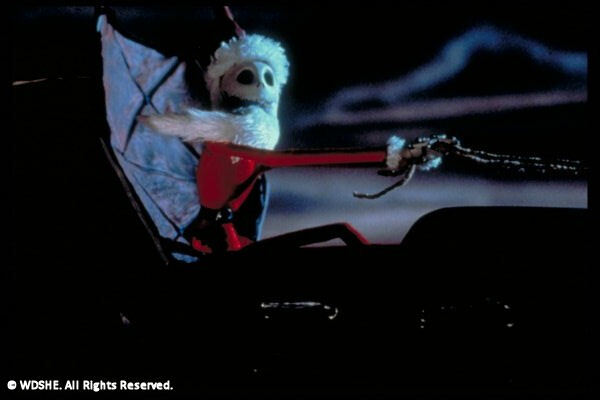 Composer Danny Elfman, the former front man for Oingo Boingo and a frequent music collaborator with Burton, was never better in writing the songs, composing the score and providing the singing voice of Jack Skellington in Nightmare. His songs have the sweep of great classical music--even opera--but also the raucous accessibility of a British music hall and the intimacy of a French cafe. That these varying styles all effectively serve a dark netherworld of Halloween creatures taking a Christmas bump in the night is quite an accomplishment. And, oh those lyrics. Devilishly fun and delightfully evil. This is the most non-Disney of Disney music. As much as I love the sublime song craft of Howard Ashman and Alan Menken (The Little Mermaid, Beauty and the Beast, Aladdin), Elfman's compositions stand out because they are so unique and so in tune to Burton's marvelously twisted vision. A bat in place of this old rat. Because Burton's name is above the title, it's often assumed that he directed the film. In fact, Burton produced Nightmare and wrote the story for it. 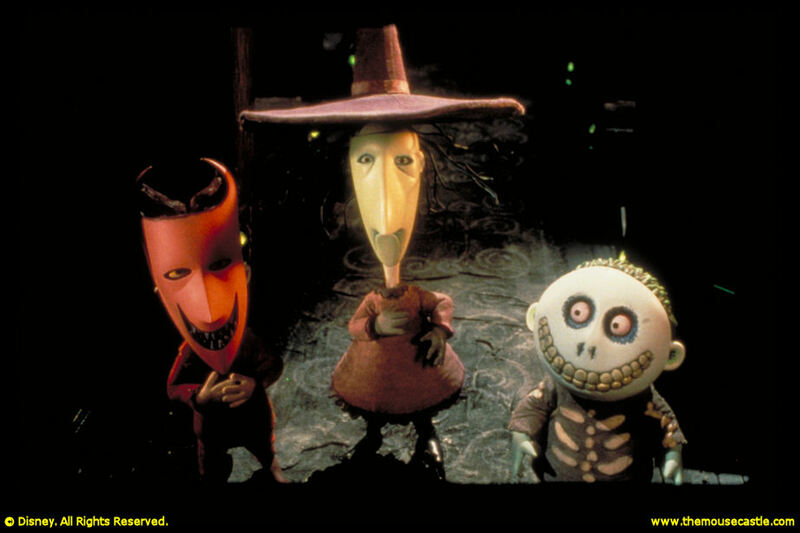 The director was stop-motion animation master Henry Selick who also directed James and the Giant Peach and Coraline. I'm going to do my stuff. I'm gonna do the best I can. The first time I saw The Nightmare Before Christmas I went right out and got the CD soundtrack. I still have it and it still gets regular play on my iPod. Nightmare is that rare film that's as much fun to just listen to as it is to watch. This is the latest installment of my 30-Day Disney Movie Challenge. Next up, the most beautiful Disney movie scenery. I love the Nightmare before christmas, I have a lot of nightmare stuff in my house! The reason it's a Disney movie is because Tim Burton wrote the story while working at Disney, and at first they didn't want to make the movie because they didn't thinks it would fit the Disney product. I didn't know that but I read it in a book about the movie I bought in Disneyland Paris.